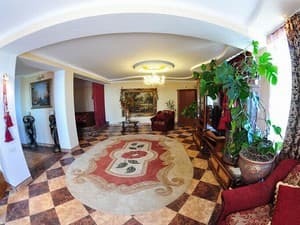 Mini-hotel "Argo" is located on one of the oldest streets of Yalta, along Massandra beach, a 5-minute walk to the sea. The hotel has one-room apartments and two-room apartments located on the eco-floor (wooden frame). 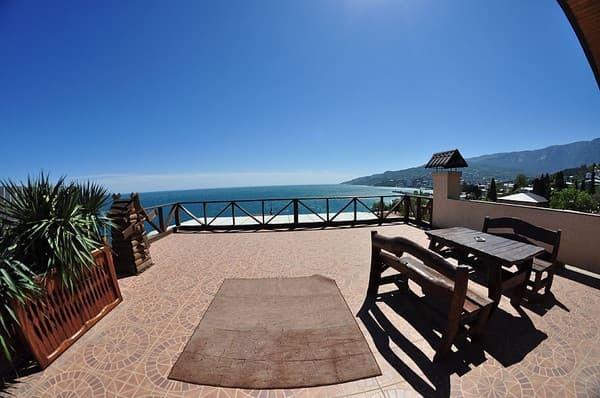 The apartments have an area from 45 sq.m to 120 sq.m, a loggia of 20 sq.m with a view to the sea. 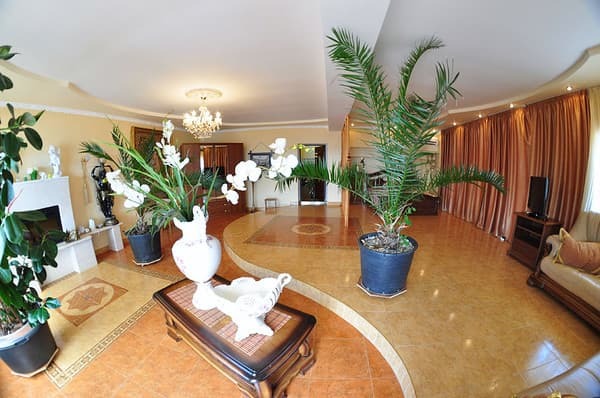 The hotel is planted with tropical plants: palm trees, yuccas, agaves, oleanders. On the 1st floor of the mini-hotel "Argo" is a spacious hall and equipped with a kitchenette (microwave, refrigerator, stove, extractor, dishes). Each room has a double bed, orthopedic sofa for two, TV, Wi-Fi, air conditioning. Wet cleaning and replacement of towels are made daily. An iron and ironing board are provided upon request. In the 2-minute walk from the hotel, on Massandra beach, there is "Dining room in the home" with the service system "Swedish line". Massandra beach itself consists of 8 maps, three of which are free. Within walking distance from the hotel there are many cafes, restaurants, fast food, bars, and clubs. In a 10-minute walk is the embankment of Yalta. The distance to the bus station of Yalta is 3 km. PRICES MAY CHANGE, IT IS REQUIRED TO RECEIVE INFORMATION FROM THE OPERATOR. Description of the room: The spacious rooms are 45 sq. M., The loggia is 15 sq. 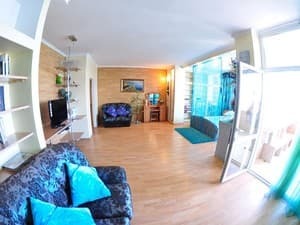 M. The room has a double bed and orthopedic sofa for two persons, TV, air conditioning, electric kettle, autonomous hot water around the clock. Description of the room: Room with a bar and a children's room for two. 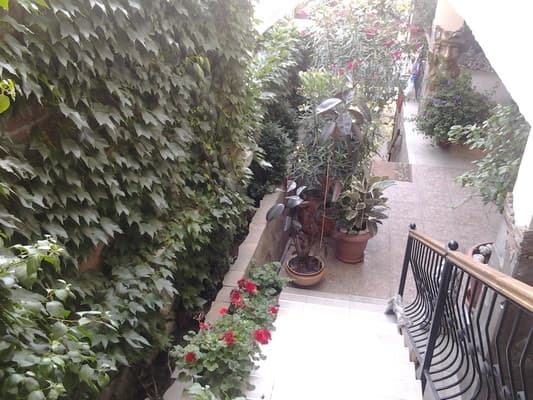 Room area is 100 sq.m + terrace of 40 sq.m. Double bed and orthopedic sofa for two persons, TV, air conditioning, autonomous hot water round the clock. Accommodation 4-6 people. 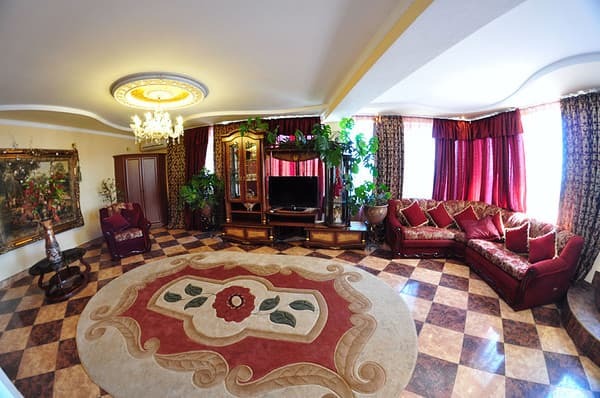 Description of the room: A four-room suite with an area of ​​330 sq.m + a terrace of 200 sq.m. 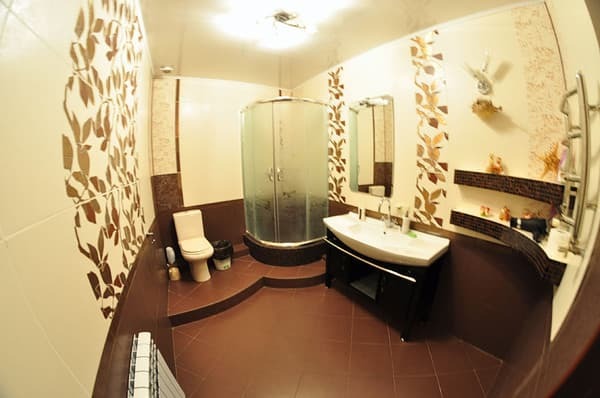 The room consists of 2 double rooms with a shared bathroom for 2 rooms. On one of the oldest streets of Yalta, along the Massandra beach. Within walking distance are many cafes, restaurants, fast food, bars, and clubs. To the sea - 5 minutes walk. 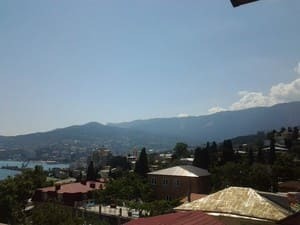 A 10-minute walk from the hotel is the embankment of Yalta. The distance to the bus station of Yalta is 3 km. By shuttle bus number 34 to Massandra beach or by taxi (20-25 UAH).